By all accounts, 2018 was a rough year for the cryptocurrency markets. Bitcoin, for example, fell from $20,000 to just under $3,000—a massive loss. And other coins followed suit, many losing more than 90% of their value from the all-time high. This blood-letting drove investors out of the marketplace, resulting in the ‘crypto-winter’. However, as the market has begun to buoy, investors are returning and seeking platforms where they can trade cryptocurrencies. This movement back into the market has begun to expose some of the technical flaws that are currently putting traders at risk. For example, in the recent Bitcoin price jump over $5,100, trading site Bitmex automatically closed out short positions for a number of traders in a process known as ‘auto-deleveraging’. The sudden closures liquidated more than $500 million in short positions—a massive tech glitch. Despite a tough 12 months, months that elicited questions of whether or not the market could ever recover, crypto is pushing forward. For example, technology in the crypto trading space is exploding. This is possible due to the fact that the investor perspective has gradually shifted. Digital currencies are no longer considered a speculative, risky investment that may or may not carry any intrinsic value, they are now solidly legitimate assets that could even potentially overtake fiat as a monetary option. The change in overall investor mindset has opened doors for advanced trading options and large-scale investments. The 2018 trading year also brought new trading options in the form of leverage trading platforms, derivatives, and futures. Margin trading in cryptocurrency is still a relatively new endeavor and is certainly one of the riskier options available. However, the tremendous potential rewards can make it an appealing option for new and seasoned crypto traders alike. Regardless of experience level, it is critical to remember a few key points when selecting any platform. Most reputable exchanges require two-factor authentications when opening an account. This is to mitigate the real risk of hacking posed by putting money into any exchange. The hacking issue is not going away and protecting oneself as much as possible is critical. Additionally, research each potential platform thoroughly prior to jumping in. Every platform is different. Verification takes different times, leverage options are all over the place, and available pairs vary from platform to platform. Take the time to find out which exchange suits your specific needs. One such platform is Monfex. Specifically configured for digital currency, the Monfex trading platform allows trading pairs from a variety of cryptocurrencies supported by the Monfex platform. Currently, the US dollar can be traded against 12 different cryptocurrencies on Monfex. These include several top performers: Bitcoin, Bitcoin Cash, Dash, EOS, Ethereum and Ethereum Classic, Litecoin, Neo, OmiseGo, Ripple, Monero, and Zcash. Each trading pair offers pre-selected leverage, typically 5x or 10x, but up to 50x. Bitcoin is the base asset across the platform. 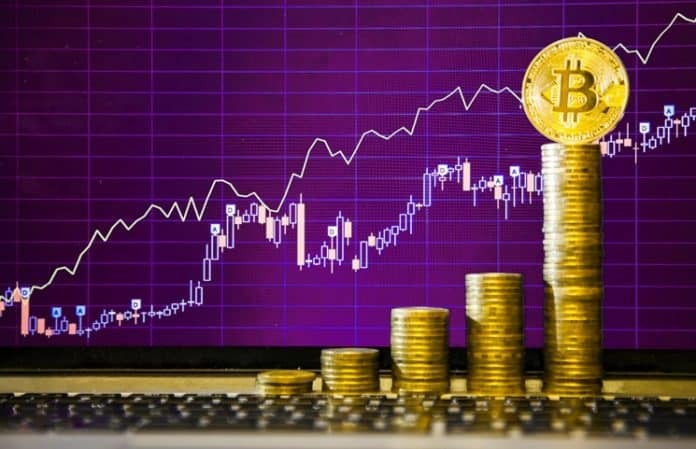 Once an account is established (which is quick and simple), a base amount of BTC deposited into the account, and an order type and size confirmed, a variety of trading positions become available. Investors have the option to Buy or Sell, Long or Short, with a force close based on the amount of BTC in the investor’s account. Other advantages offered by the Monfex platform include low commission at 0.075%, tight spreads, contracts are perpetual and divisible, and deep liquidity. Other crypto margin exchanges and trading platforms are not new to the crypto space. However, they have reinvented themselves to meet the expanding demands of today’s crypto investor. Kraken, for example has been around since 2011, practically an eternity in crypto time. It recently acquired a new trading platform interface, the OnChainFX dashboard. Additionally, Kraken has plans to launch a cryptocurrency bank, the first in the world. Hong Kong based and US Virgin Island registered Bitfinex is yet another standby platform. The exchange supports nearly every type of input-output. Bitfinex is currently unavailable in the United States due to regulatory compliance issues that continue to plague US investors as a result of the increased attention from the SEC and other governing bodies. However, progress continues to be made in the international market for Bitfinex users. For example, Bitfinex investors are no longer crippled by a minimum equity investment limit. Previously set at $10,000, Bitfinex removed the limit entirely in response to investor demands. This announcement was presented alongside other news regarding platform infrastructure improvements. Bitfinex has also been working to provide investors with a Know Your Client (KYC) portal, sentiment analysis options, and an upgraded customer support center. Trading cryptocurrency in derivatives and other lock option exchanges is an exciting prospect for investors, especially as 2019 brings positive movement across Bitcoin, Ethereum, and other top coins. Markets are responding to the changes and new exchanges like Monfex and others are providing solutions. Investors can potentially see enormous returns, especially using leveraging options on these new platforms. Just be sure to thoroughly research the best option for you, and happy trading!